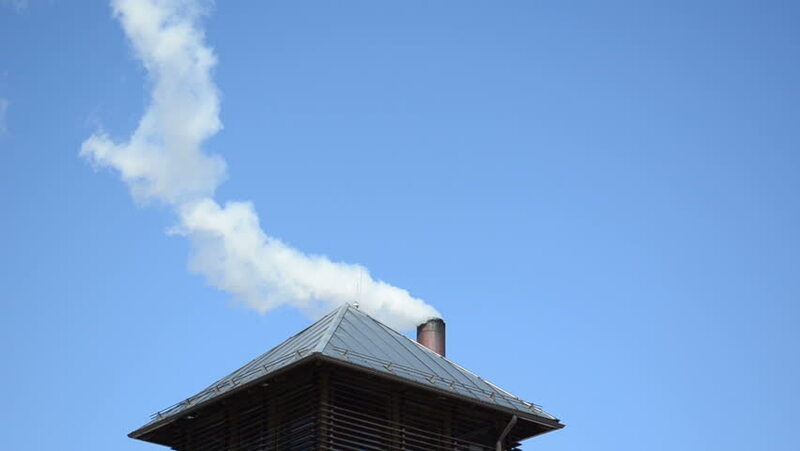 white smoke fume rise from small house building roof chimney on background of blue sky. hd00:07white smoke fume vapour rise from small house building roof chimney on background of blue sky. hd00:13white smoke fume rise from small building roof chimney on background of blue sky. hd00:08Time lapse moving clouds and blue sky above roof.